In 1907, the artist and draughtsman Hugo Otava began his four years of study at the Turku Art Society’s Drawing School. He participated in several joint exhibitions both in Finland and abroad. 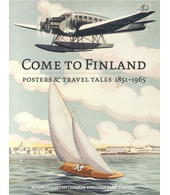 Today his work can be seen at the Turku Art Museum. Otava worked as a draughtsman for the magazine Uusi Aura from 1917 until 1924. He then worked for the magazine Karjala until 1930, when he took up a post with Ajan Suunta until the Winter War broke out in 1939. During the war, he illustrated the soldiers’ magazine Hurtti Ukko. During World War II, Hugo Otava also designed a series of postcards for Itsenäisyyden liitto, the Finnish Association of Independence.